Whether we receive them as birthday gifts or early Christmas presents, many of us get a “lemon” once in a while. In other words, we receive a product that just doesn’t work like it’s supposed to. Perhaps it’s something that was “as seen on TV,” or maybe it’s a cheaper knock-off of a popular gadget or toy. Usually, we can exchange it at the store from which it came, and all is well. Unfortunately, sometimes these gifted “lemons” actually cause injuries, even serious ones, to the users. What began with a smile of delight turns into a lot of pain and trauma because of the defective products involved. If you’ve been hurt by an item you’ve purchased that malfunctioned or that had no warning label to alert you to the possibility of injury, we urge you to call our law offices as soon as you’re able at 800-991-5292. Any time of day and any day of the week, 24/7, we will connect you quickly with personal injury attorney David Azizi for a free consultation. 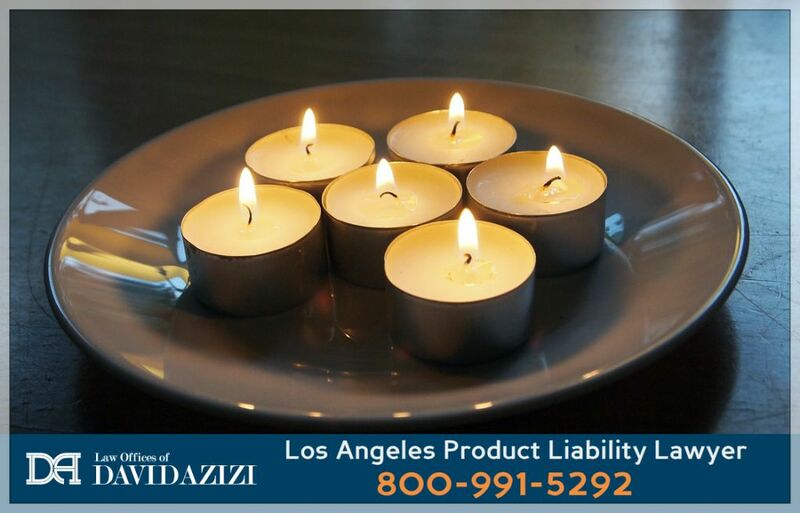 For 21 years, numerous other residents of the greater Los Angeles area have turned to David to be their product liability lawyer. He’s helped them to recover their financial costs after they’ve experienced accidents caused by product malfunctions or insufficient warning labels. They’ve found him to possess three essential qualities for a top-notch attorney – successful at fighting for his clients’ interests in court, genuinely sympathetic to the pain and suffering of his clients and comprehensive in his knowledge of the law. David has an outstanding 98-percent success rate at helping his clients. His peers agree that he’s a very effective litigator; the large legal services company Avvo gives him their “Superb” rating. Expertise.com recently listed him as one of its Top 20 Personal Injury Lawyers in Los Angeles, and most recently, the prestigious Super Lawyers organization named him as one of Southern California’s top attorneys for the sixth time. David was able to win his client a $3.74 million settlement to cover her previous and future costs from the accident, including medical expenses and lost future wages from being unable to continue in the modeling profession. Every case is unique, so settlement amounts do vary. David will be able to give you an accurate and honest estimate of what financial compensation you can likely seek in your particular circumstances. Since 1998, when David began to practice law, he insists that he and his staff do the highest level of work. Every case, no matter how big or small, is important to him, and he will work just as intensely on each. He commits himself to fighting hard for every dollar that his clients deserve. David’s desire to help is genuine. Far from being a jaded veteran lawyer, he feels true sympathy for his clients. He knows that they are going through a difficult time as they deal with serious injuries. As a married father with three young children, he especially feels it when a case involves an injured child. Knowing that his clients have a lot to deal with medically, but that they will also have questions about the legal process, he takes the extra step of giving his cell phone number to each of them. He prides himself on being personally accessible. Any one of these could be grounds for a product liability lawsuit. Design defects are what they sound like. These are errors that a company or other entity makes in the design of a product such that normal use results in an accident. Manufacturing defects are flaws in the making of a product. The design may be perfectly fine, and if executed correctly, it should lead to a safe product. However, if the manufacture of the product is flawed, it results in something that is not safe to operate. Inadequate warning labels can also constitute grounds for product liability claims. In these situations, consumers get hurt by using the product in a way that the designer and manufacturer should have foreseen, yet they did not attach a clear warning that the item should not be used that way. It’s important to note that if any of these things causes an accident and injury, that every entity involved in the stream of commerce, from design to manufacture to sales, is liable. David has the track record of success, the genuine concern for his clients and the expert knowledge you need for your product liability case. Call us now, 24/7, and we’ll help you get started on your free consultation right away. Again, our phone number is 800-991-5292. David not only offers an initial free consultation, but he also doesn’t charge any fees at all until your defective products case is won. If, for some reason, he’s not able to get you the compensation you deserve, then you don’t pay him anything. But with his stellar 98-percent rate of success, he’s confident he can help you.